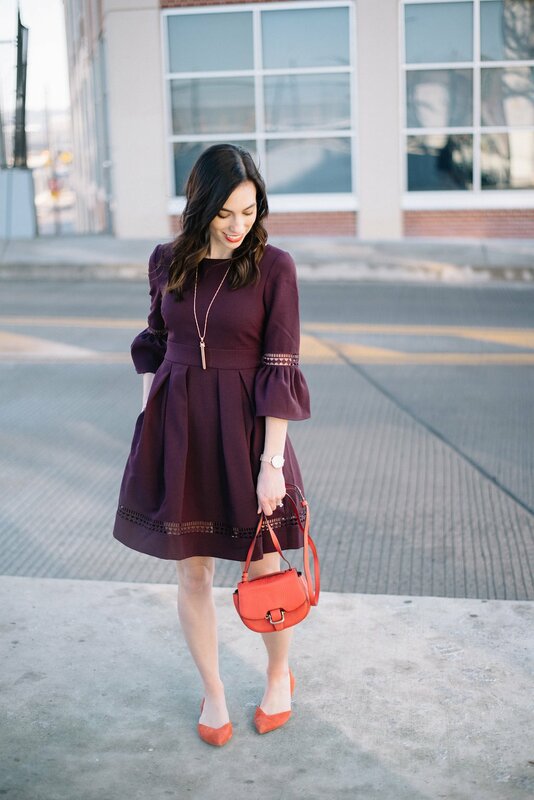 With Valentine’s Day only one day away, this bell sleeve dress was the most fitting option for this week’s#WKLoveYourCloset February feature. I purchased this dress a long time ago–nearly a year, I’d say. It’s been one of those dresses that Eliza J has brought back season after season (for good reason), switching up only the color selection. I really try to focus on buying clothing in colors that are flattering for my natural tones, and not just ones that I think are pretty. 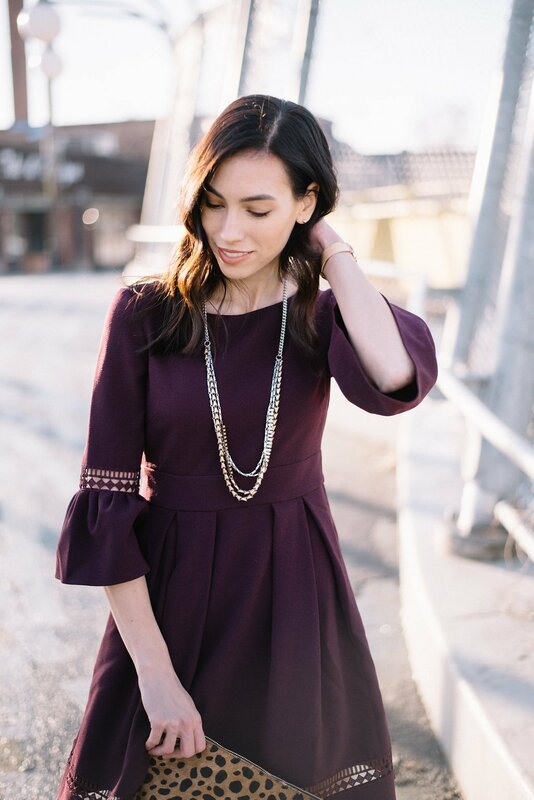 This dress came in a beautiful shade of blush pink that I also loved, but knowing the pastel would wash me out, I opted for the deep plum–a more appropriate color on my pale, pinkish skin. In any color, it is an excellent addition to your capsule. 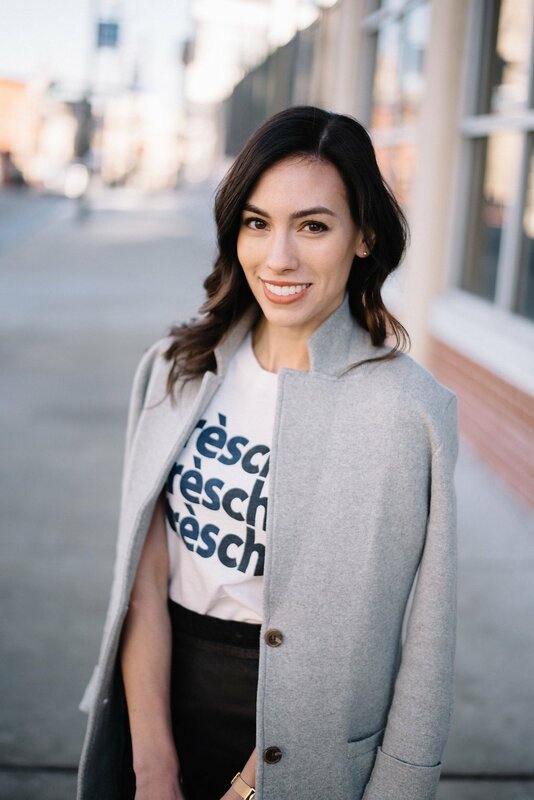 Arnie and I haven’t yet graduated from summers filled with weddings and baby showers, so this bell sleeve dress will be equally appropriate for the office as it is for special occasions. It is a little more dressed up than what I would typically wear on the weekends, but hey, no reason that you couldn’t! It would be perfect for a Sunday morning church service–especially with Easter around the corner. 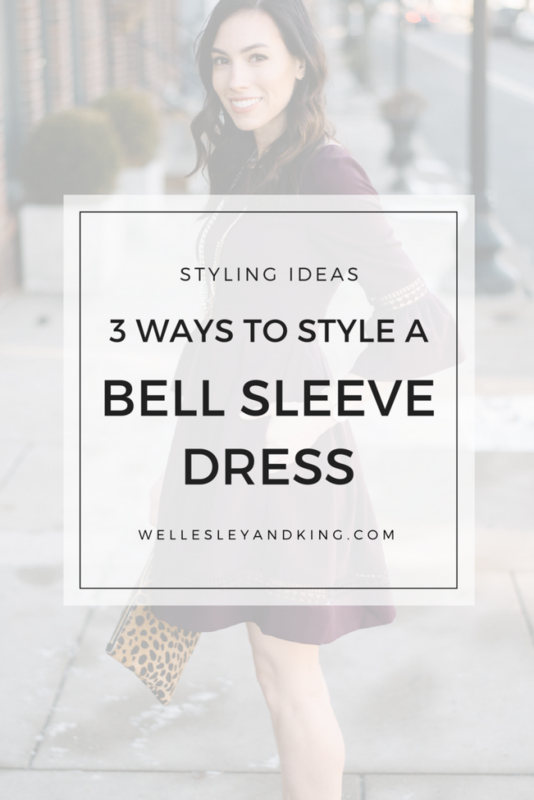 Below, you will find this, a simple bell sleeve dress, styled for work, weekend, and a night out. I’ll be completely honest with you: this styling is easily my favorite. 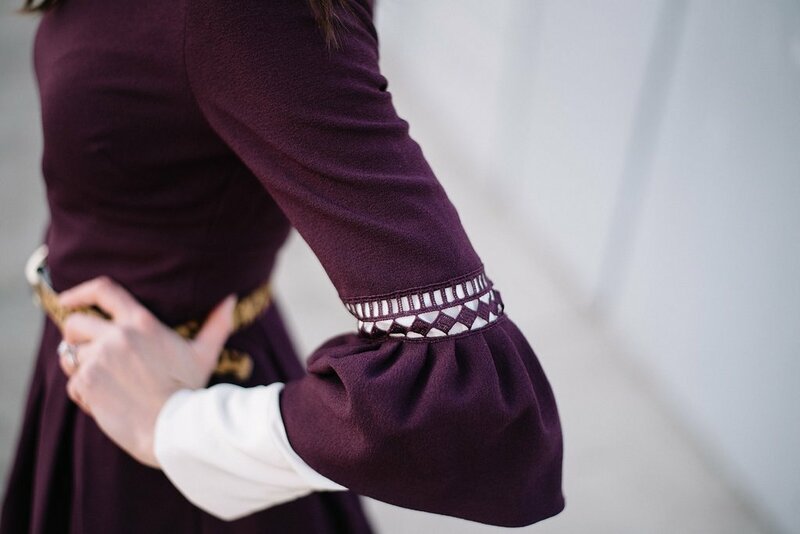 There’s a slightly unexpected element in layering the silk blouse under those sleeves, but it creates a beautifully polished and professional look. I felt that the look needed a simple statement–nothing too much–so instead of oversized jewelry, I opted for this faux calf hair belt for texture and style. 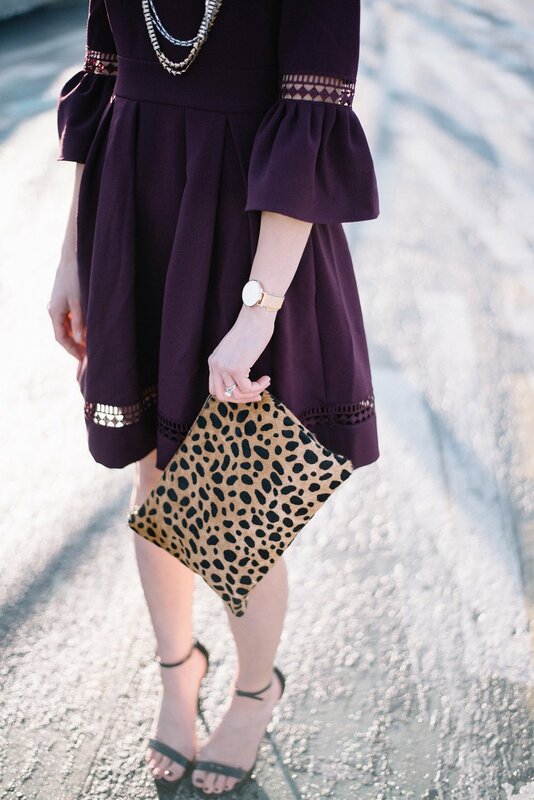 No need to go overboard with accessories with those statement sleeves, just keep it simple by adding a structured bag and classic pair of pumps. The animal print belt ties together the black in both the shoes and the bag, creating a totally cohesive and put together look. I think I’ll make this my Valentine’s Day work outfit (weather permitting, of course). 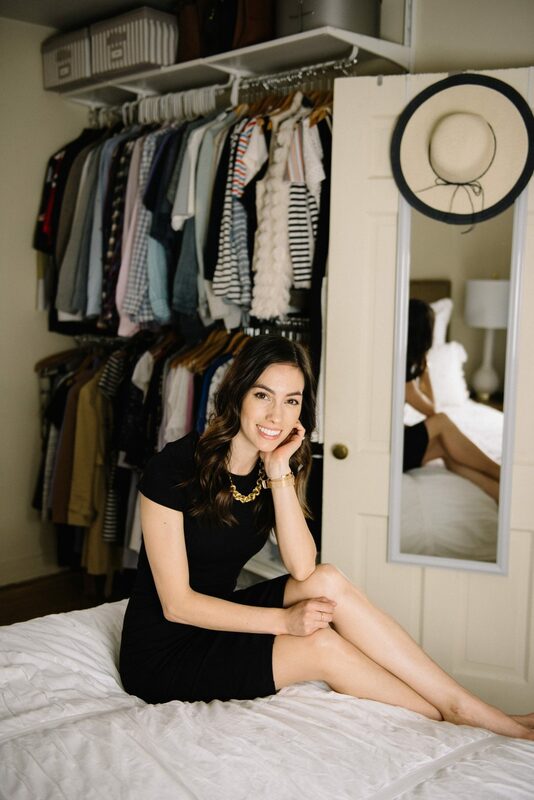 Simplicity continues to be the name of the game in the second styling, really highlighting that it does not take much at all to create a sophisticated date night look. Strappy sandals are minimal and chic, a multi-strand necklace provides a hint of bling (without being over-the-top), and the clutch adds the necessary texture with a subtle print to the whole look. If you want to go all out, wear in some statement earrings, tie up your hair, and add dramatic lashes. This dress is a blank slate, really allowing you to have fun with the rest of your look. 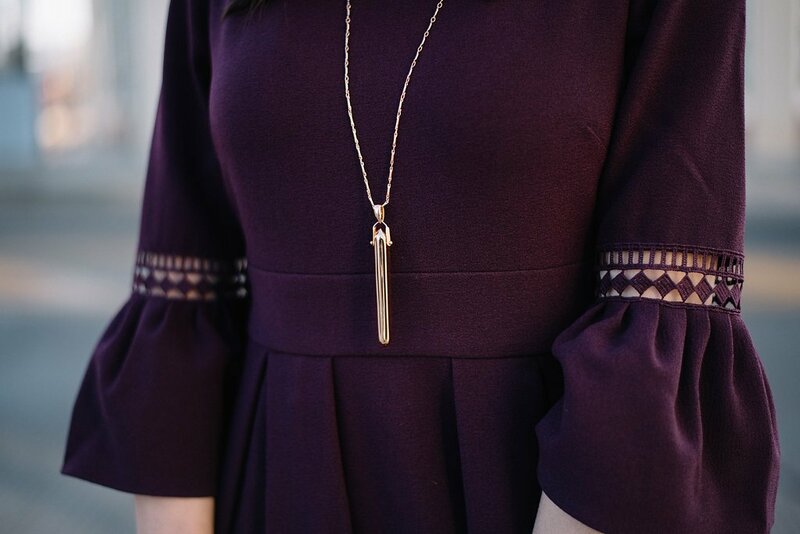 Wear this for: a dinner date, an evening work event, or a night at the theater. Clearly Valentine’s Day is on the mind, but really the whole month of February screams for pops of red in every outfit. 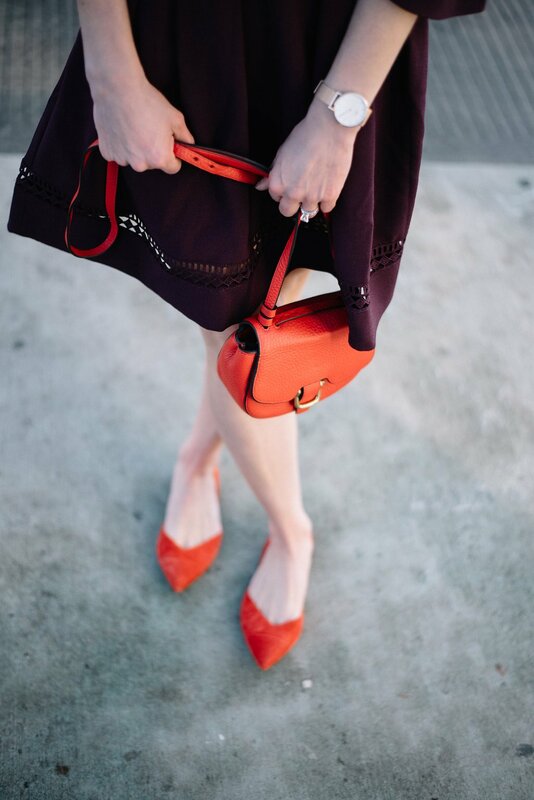 When bright colors feel like too much to wear head-to-toe, adding in brightly colored accessories is a great alternative. 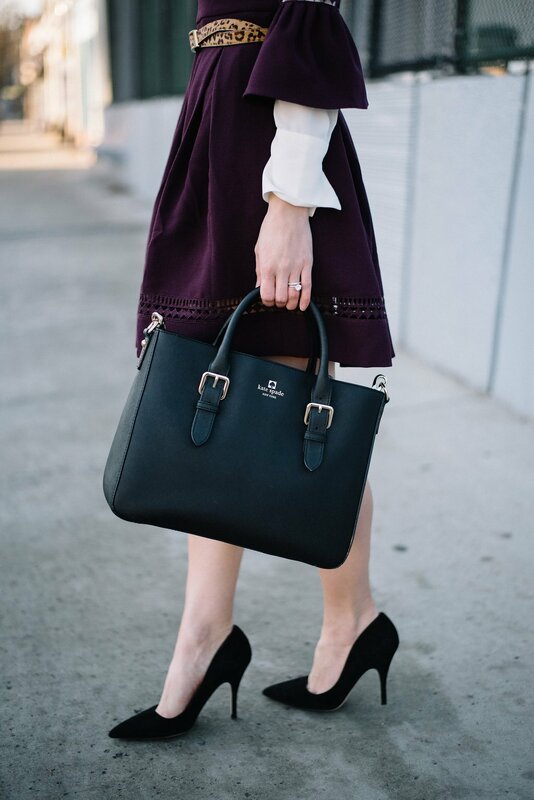 The color of these flats/bag play so well with the deep shade of plum, and are a perfect match to my favorite lipstick. Wear this look for: Sunday brunch, weekend shopping, or your Sunday service. Which look is your favorite? How would you style it differently?